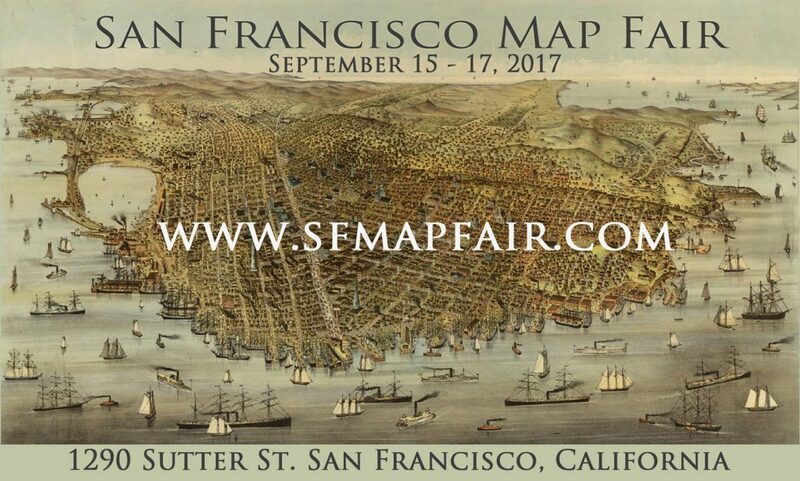 I am pleased to announce that Boston Rare Maps will be exhibiting at the inaugural San Francisco Map Fair on September 15-17, 2017. The Fair will be held at San Francisco’s landmark Regency Center at 1290 Sutter Street. Many of America’s leading map dealers will be in attendance, a Cocktail Reception and Preview will be held on Friday the 15th, and educational lectures will be offered over the course of the weekend.